Star of Miss Cast Away is Deader than Farrah | Critical End! Sorry for the late post, kids. I’m still reeling from the soul-crushingly bad Oscar telecast last night. Logan and I have discussed it and we’re going to live blog the Westminster Dog Show instead next year. Anywho, just wanted to do a quick check-in on how we’re feeling about the death reel this year. Like many, I’m wondering why Farrah Fawcett was snubbed, but my real question is whether Michael Jackson deserve to be included. Sure he’s one of the most famous people on Earth and it’s sad that he died. But it was sad when my cat died too, and Lady Scratchmeister didn’t get an Oscar mention. Because she didn’t work in movies. Say what you want about Farrah, but she had a legit film career that included a Golden Globe nomination. 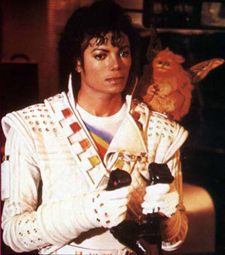 Other than The Wiz, Jackson didn’t really do anything that wasn’t a cameo, music video, or vanity project. Sure, if we’re honoring publicists anyway, throw in MJ while you’re at it. But at the expense of Farrah and Bea Arthur? I don’t get it. This entry was posted on Monday, March 8th, 2010 at 5:53 pmand is filed under . You can follow any responses to this entry through the RSS 2.0 feed. Both comments and pings are currently closed.